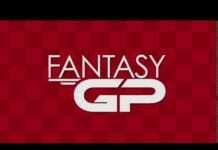 In just a few days of the 2016 Fantasy GP World Championship opening for entries, over 1000 teams have joined the grid. Each team has an equal budget of £75million to spend on 3 drivers and 3 cars. But who’s catching the attention of the first 1000 teams registered? There are three clear favourites at this early point – Lewis Hamilton, Sebastian Vettel and Max Verstappen. What’s surprising is Romain Grosjean’s popularity. Yes, he is cheap for such an experienced driver, but people are clearly thinking highly of the HAAS team and reckon the Frenchman is worth a gamble. Fair play. Rio Haryanto is well behind the pack and is currently the least popular choice, but his crazy cheap price tag may entice a few as the season goes on. Nico Rosberg’s lack of popularity is also a surprise. He’s clearly been up there, or thereabouts, with Hamilton and has the same machinery, but at a slightly cheaper price, but players are happy to fork out the extra few million to have his champion teammate instead. No surprises here for seeing Mercedes in the number one spot, but again HAAS are proving popular despite being a brand new team. Toro Rosso are a popular choice and the common thinking that Ferrari are going to be challenging for podiums is showing a shift towards the red team too. Unfortunately for Sauber, even their cheap price tag isn’t enough to gain players confidence at this early stage, with more players favouring the Mercedes-powered Manor. 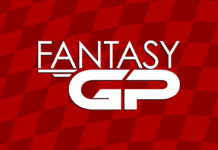 If you like charts and data like this you should consider joining Badger GP and GO PRO to gain access to stats and data within Fantasy GP. After the season starts, all paying members gain access to interactive charts and some realtime analysis of trends within the game and friends leagues. Don’t delay, GO PRO and join Badger GP Today.